Seeking to reduce the risk from fluctuations in the energy market, the city of Solana Beach will enter into a three-year purchase agreement for hydroelectric power, under the city’s program that allows residents to purchase electricity as an alternative to San Diego Gas & Electric. The city launched its program, called the Solana Energy Alliance, last summer. Among the goals of the city’s program are to offer cleaner energy to the city’s residents, provide more local control regarding energy sources, and work toward the city’s target of having 100 percent renewable energy by 2035, said Dan King, assistant city manager. The city also agreed to set electricity rates at 3 percent below those charged by SDG&E. Under the program established by the council, the city has contracts with two entities, said King. One organization, called the Energy Authority, is a consortium of eight or nine public energy alliances similar to the one formed in Solana Beach. The authority purchases power on the open market for its member agencies. The city also contracts with a second consultant that handles such tasks as operating a call center, customer billing and data management. At its meeting on Wednesday, Jan. 9, the Solana Beach City Council voted unanimously to authorize the Energy Authority to enter into a three-year contract to purchase hydroelectric power, to meet the needs of Solana Beach residents who are participating in the city’s alternative energy program. This would be the first long-term energy contract for the city program, but the city will explore other long-term options in the future, King said. A city staff report said that in a worst-case scenario, the city’s energy costs could go up by $5,699 over the three-year life of the deal, while under the best case, the city could save $25,609 over the three years. The difference, said King, depends on the amount of rainfall during the contract period, which affects the cost of hydroelectric power, and if additional agencies join in the purchase agreement through the Energy Authority. “If things work out well, it’s a much better deal,” said King. Under questioning by council member Jewel Edson, King said residents’ electric rates would not go up even if the city’s energy costs rise marginally during the three-year energy purchase agreement. According to King, Solana Beach residents are automatically enrolled in the city’s energy program unless they opt out. Currently, he said, there are about 7,000 households in the program. About 8 percent of the city’s households have opted out of the city’s program and have continued to purchase their electricity from SDG&E, leaving the city with a 92 percent participation rate in its fledgling energy program,. The Solana Energy Alliance offers two packages of electricity rates: SEA Choice, which promises electricity from 50 percent renewable sources, and 75 percent from sources free of greenhouse gas emissions; and SEA Green, which offers electricity generated from 100 percent renewable sources. Currently, residents who use an average of 445 kilowatt hours per month are billed $119.35 for SEA Choice, and $120.69 for SEA Green. SDG&E’s charge for standard electrical service is $122.69, and it also offers a 100 percent renewable option for $121.65. A side-by-side comparison of SEA and SDG&E rates can be found on the city’s website at https://solanaenergyalliance.org/wp-content/uploads/2018/10/JRC-Online-July-1-2018.pdf. Those in the program continue to pay SDG&E for use of its power grid and transmission lines. Solana Beach was the first city in San Diego County to launch a community choice energy program. According to the CalCCA, an advocacy group, there are 19 community choice programs serving some 8 million California residents. King said funding for Solana Beach’s community choice program is kept separate from the city’s general fund. The city did contribute $107,000 in startup costs for the Solana Energy Alliance, which will be paid back over time. The program also covers approximately $122,000 annually in city staff costs for work done on behalf of the energy program. If the community choice program accumulates funds above those needed to operate the program, the city could designate the money toward projects that further the goals in its Climate Action Plan, King said. Other California communities with energy choice programs have used money generated from energy sales to pay for such things as electric vehicle rebates and electric buses. Solana Beach to enter three-year energy purchase deal, by Joe Tash, Del Mar Times, January 13, 2019. 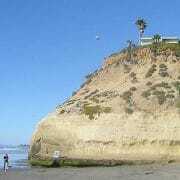 SOLANA BEACH, Calif. — This enclave in north San Diego County is known for its small-town feel, the summer concerts held on a bluff above crashing ocean waves and the non-chain stores in its arts district.It’s also seen as a progressive stronghold. Incorporated 30 years ago after local residents grew concerned about overdevelopment, Solana Beach jumped ahead of others regionally on environmental causes. It was first in California to ban smoking on beaches. It banned single-use plastic bags before other cities in the county. Last year, it was the first to restrict Styrofoam containers. Now it’s considering a landmark move to cut carbon pollution. Solana Beach is considering taking on the role of quasi-utility. It would form a collective to buy power on behalf of residents and businesses, a practice known as community choice aggregation, or CCA. Under state law, residents are automatic members of the CCA but can later opt out and go back to incumbent utility San Diego Gas & Electric Co. (SDG&E). The intent is to acquire more power made from renewable sources in order to shrink greenhouse gas pollution. The city is looking at potentially passing a climate plan that would commit to a greenhouse gas reduction. And it would create a CCA in a way that so far hasn’t been done. “The city has always had residents or a population that is really concerned about improving their community and improving the planet,” said Peter Zahn, Solana Beach deputy mayor and a member of the Climate Action Commission. “Residents have banded together and really used their collective muscle and intelligence and wit to do really whatever they could to make it a better place to live. 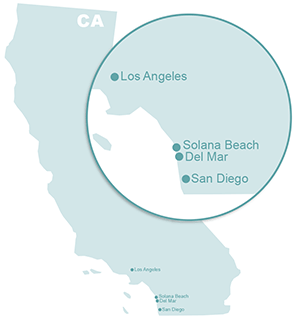 CCAs already exist in San Francisco, in the Bay Area cities of Marin and Sonoma, and Lancaster in north Los Angeles County. Because Solana Beach, population 13,000, is small, it could be difficult and costly to go it alone. Several other cities in San Diego County are also considering CCA and could form a joint partnership. But Solana Beach might not have to wait. As cities in the Golden State are entering the new world of competing with large utilities, entrepreneurs are offering options. A new one would have a private company put up money to help launch the program. The city in return would pay the investor group part of the revenues from CCA. Solana Beach, if it went this route, would be the first in the county, and potentially the first in the state, to do so. Humboldt County in Northern California is also looking at it. It takes place as the larger region is aiming for major action on climate change. San Diego last year adopted a climate action plan that calls for switching to 100 percent renewable power by 2035. Starting a CCA — or what San Diego is calling “community choice energy” (CCE) — is expected to be part of that. But it could be 2018 before San Diego puts a CCE into place, said Nicole Capretz, executive director of the Climate Action Campaign, a nonprofit watchdog group. She was director of environmental policy for San Diego interim Mayor Todd Gloria (D) in 2013 when he drafted what eventually became that city’s climate plan. Mayor Kevin Faulconer (R) after his election made some changes and endorsed the plan (ClimateWire, April 7). Del Mar, the city just south of Solana Beach, has also adopted a plan to switch to 100 percent renewable power (ClimateWire, Aug. 8). In the case of that town, it’s a road map and not legally binding. The city will need to consider and adopt individual actions to achieve the goal. It’s also talking about a CCA, and has said the CCA will likely be needed to reach the green power plan. [+] Map by E&E Publishing. Nearby, the cities of Encinitas, Carlsbad, Oceanside and others have met to talk about forming a joint powers agreement that would operate a CCA. Solana Beach could be part of that larger JPA if it gets approved. Solana Beach is moving faster than its neighbors. It’s released a request for proposals (RFP), asking companies to show how they’d help the city run a CCA. It was modeled after the RFP that Humboldt did, King said. The responses to that RFP are due tomorrow. Depending on whether there are questions that need to be resolved, the City Council could review those as early as Sept. 28 and look at approving a service agreement Oct. 26. Starting a CCA in Solana Beach and later combining with one in nearby cities is another possibility. A larger JPA would have more purchasing power, Zahn said. But Solana Beach potentially could act more nimbly if it went first. “Forming our own energy district and keeping it small probably would enable us to move faster,” he said. 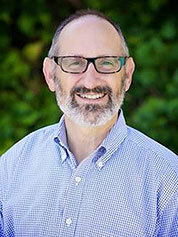 Pete Hasapopoulos, organizer of the Sierra Club’s My Generation campaign, is advocating for community energy in the region. While not speaking specifically about Solana Beach, he cautioned that the model of working with a for-profit business is untested. “It just has to be proven that this for-profit model can help a city meet its objectives,” he said, including reducing greenhouse gases and offering the same if not better rates than the incumbent utility. It’s true there are risks with going first with a for-profit partner, Zahn said. He said the city would be sure to vet its partner if is goes that route. But right now there is no larger JPA to join, he said, and the greenhouse gas clock is ticking. The city is looking at a climate plan that potentially would commit to cutting emissions 50 percent by 2050, which he said is a steep hill. Solana Beach is an affluent community. The median home price here is $1.2 million, according to online real estate company Zillow. That sometimes makes it easier to take progressive positions, Zahn said, because if there are concerns it might raise costs, “the residents are not taking as big of a risk.” He added that often, the worries about higher expenses created by environmental actions have been proved untrue. If Solana Beach goes for a CCA, there will likely be a battle with Sempra Energy, parent company of SDG&E. The state now bars utilities from talking about CCA unless it’s done through a separate affiliate, funded by shareholder dollars. SDG&E last November told the California Public Utilities Commission (CPUC) that it was creating just such an affiliate. SDG&E is the first utility in the state to make the move. CPUC said it’s reviewing the filing. Solana Beach Deputy Mayor Peter Zahn. Photo courtesy of the city of Solana Beach. “SDG&E supports a customer’s right to choose its electricity service provider, including a CCA,” the utility said in a statement. Solana Beach and Del Mar recently sent a team that told the CPUC the cities have concerns about that SDG&E effort. Solana Beach, meanwhile, still is in the process of setting its climate goals, Zahn said. The City Council must decide whether to implement a climate action plan. Action on a CCA could come before approval of a climate action plan. The city started looking at the CCA option in 2012, King said, after Marin and Sonoma started their programs. A Solana Beach CCA could start as soon as early next year. The feasibility study looked at four options for the amount of renewables, starting with one that would mirror SDG&E’s obligation to have 35 percent green power by 2021. If Solana Beach did that, it could save its residents about 3 percent on rates compared with SDG&E, the study said. The city in the first five years would retain nearly $6.8 million in revenues that could be used to fund local renewable power generation and energy efficiency. If it opted for 100 percent renewable power, the bill savings versus SDG&E would be just 1 percent, and there would not be much money left over, the study said. “The premiums spent on purchasing renewable grid power would be lost for investment in local renewables and energy efficiency — effectively paying more to rent green power year to year rather than owning it for the long haul,” the report said. The study also looked at the results of providing 50 or 75 percent green power. With Marin’s CCA, customers can choose 100 percent renewable power but have to pay more for it, said Nilmini Silva-Send, assistant director of the Energy Policy Initiatives Center (EPIC) with the University of San Diego. “They are providing mostly 50 percent renewable electricity,” she said. Sonoma’s CCA has a baseline of 35 percent renewable power, with the option of picking 100 percent green for a premium price, according to the feasibility study. The city of Lancaster’s program also has 35 percent green electricity as its baseline product. 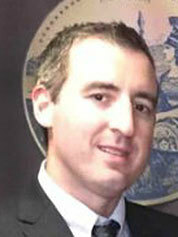 Dan King, assistant city manager of Solana Beach. Photo courtesy of LinkedIn. On a recent weeknight, Solana Beach’s Climate Action Commission worked with Silva-Send of EPIC on an experiment to see what would be needed to cut greenhouse gas emissions 50 percent by 2035, a state aim approved last year. With a CCA that bought 100 percent green power, Solana Beach would get close to the aspirational 50 percent greenhouse gas emissions cut, but would also need to add other measures, Silva-Send said. With a CCA with fewer renewables, the city would need to do even more. Most of the other options the Climate Action Commission members examined, including cutting waste that goes to landfill, adding trees and converting gas water heaters to solar thermal, shrunk carbon pollution by only small amounts. The group that did Solana Beach’s feasibility study, California Clean Power, came together in 2015 to expedite CCA programs through public-private deals. The market for companies serving CCAs is developing so quickly that it’s since been bought by Pilot Power Group Inc. of San Diego. Pilot Power Group is one of those looking at Solana Beach’s RFP. In essence, a private company would procure energy on behalf of Solana Beach and could administer all of the data and handle customer billing, said Denis Vermette, chief financial officer at Pilot Power Group. 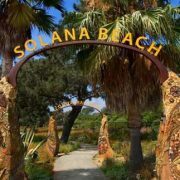 The company would procure fixed price contracts with suppliers, securing the level of renewable power that Solana Beach says it wants. The grid wouldn’t deliver that green power specifically to residents’ homes, he said, but 1 megawatt of clean electricity purchased would displace a dirty one in the state. Pilot Power Group has been around since 2001, Vermette said, and has been securing power for commercial and industrial customers. It bought California Clean Power because it already has relationships with cities it’s been talking to about forming CCEs, he said. For a CCA to succeed, it needs at least 80 percent of the city’s consumers to stay as members, Vermette said. “An attractive price, an attractive product” with renewable energy “has to be key,” because residents must be given four notices that they can opt out.